Law, Lisa (2006) Remapping the geopolitics of terror: uncanny urban spaces in Singapore. In: Berking, Helmuth, Frers, Lars, Meier, Lars, Stoetzer, Sergej, Frank, Sybille, Low, Martina, and Steets, Silke, (eds.) Negotiating Urban Conflicts: interaction, space and control. Transaction Publishers, London, U.K., pp. 53-65. 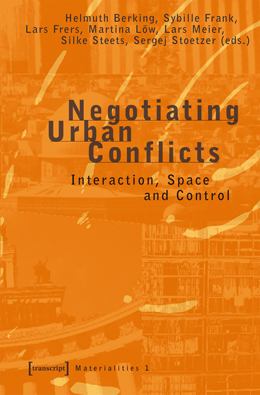 This paper considers urban conflicts as embedded in a range of geopolitical scales. Using post-9/11 Singapore as a case study, it is argued that the barricading of spaces deemed vulnerable to terrorist attack summons layers of historical division, connection, and affiliation – but these do not always include Washington at their geopolitical centre. Instead, urban tensions in Singapore are shaped by the uncanny return of the ghostly past, raising questions about belonging in the multicultural state.